Ensure exceptional customer experience by eliminating application downtime. Secure apps with built-in machine-learning and simplify compliance requirements. Eliminate blind spots with full support for Azure apps, services, modern architectures and integration with your favorite tools. Identify critical Azure application problems proactively by easily correlating performance issues with errors and failures. Get to the root cause quickly with pattern detection using machine-learning. 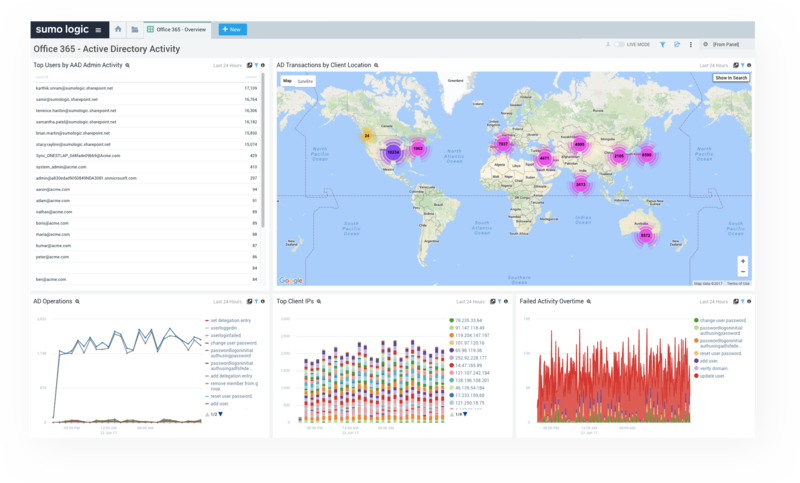 Identify, correlate and prioritize threats faster and streamline investigation with security analytics. Maintain compliance with internal and external standards (PCI, HIPAA, GDPR etc.). Empower your team with a platform built with your security in mind. Simple integration with Azure Monitor and Event Hub and out-of the-box content provides visibility into Azure Audit, Network Inspector, SQL, Active Directory, and more. Boil down thousands of log lines into easy to understand patterns with LogReduce and LogCompare. 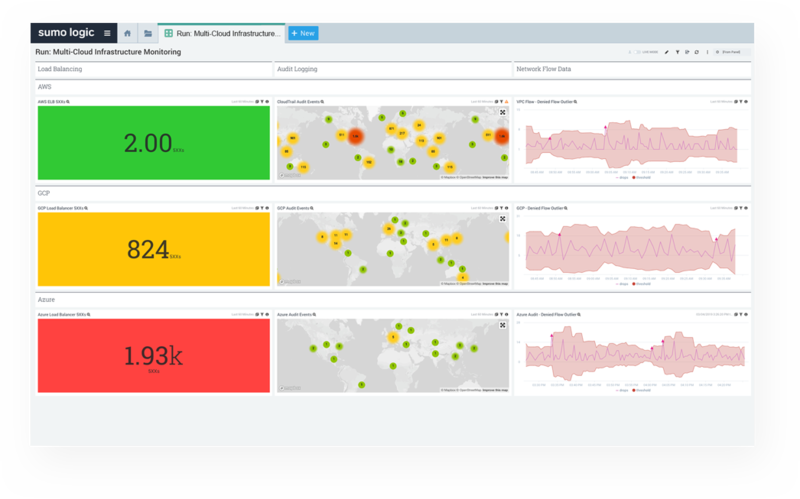 Separate the signal from the noise and detect anomalous behavior with outlier detection. 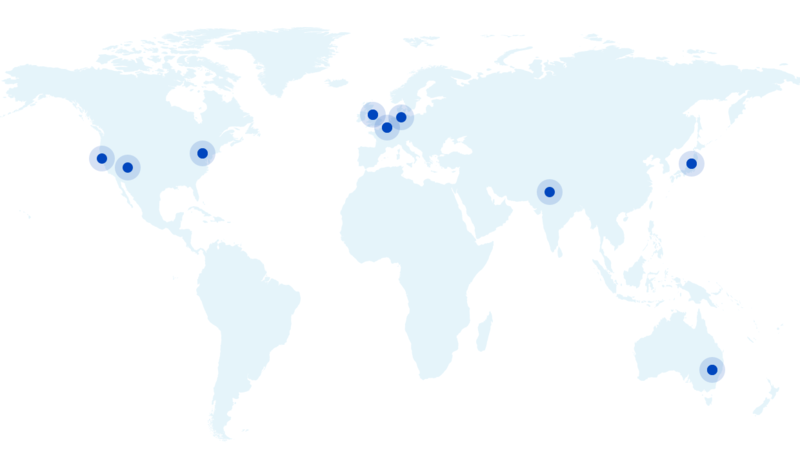 Satisfy local data sovereignty and privacy requirements with Sumo Logic’s worldwide deployments including Europe, Asia, and the U.S.
Migrate to Azure faster and with confidence with full support for Azure, multi-cloud, and on-premise on a single platform. Adopt the latest microservices technologies with confidence using Sumo Logic’s native integrations for Kubernetes, Docker, Azure AKS, and Azure functions. Get full visibility into your business tools with support for Microsoft Office 365, including monitoring and analysis of Office 365 audit logs. 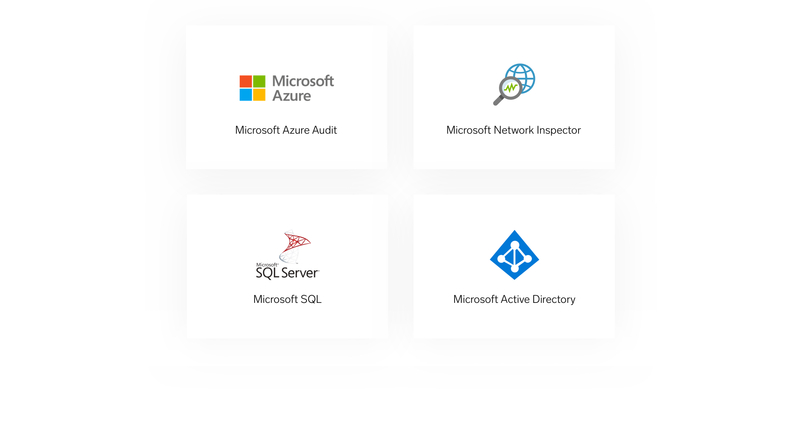 Feed your Microsoft Azure Audit Logs and Active Directory information into the Sumo Logic service to track and monitor your Azure infrastructure for operational and security insights. Within minutes, receive real-time alerts on suspicious user activity. 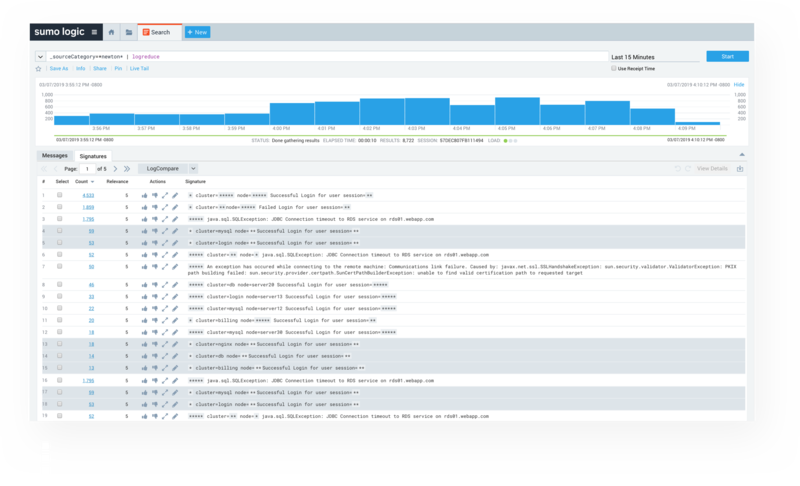 Ingest your Azure web server and application diagnostic logs directly into the Sumo Logic continuous intelligence service to monitor and visualize the health of your Web Apps environment. Understand the health and performance of your Azure SQL Databases.